Suddenly Daryl and his younger brother Nathan, who grew up in a strong Christian house, were sporting beards, learning Arabic and wearing flowing robes. 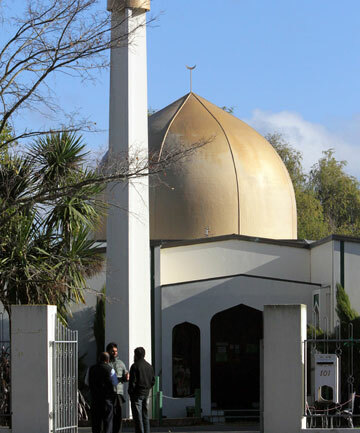 Carloads of Muslims, including immigrant women in veils, would turn up at the family's home in a smart east Christchurch suburb, neighbours tut-tutting and muttering about terrorists. Some who knew the family accepted the conversion, others struggled. When Daryl was in his early 20s and still flirting with Islam, he surprised the family of a Christian friend he was visiting when he suddenly declared he had to go to the far end of the house to pray towards Mecca. "We thought it was weird," said the friend's mother. All of this upset the boys' parents - the father a former Australian police officer doing security for a government organisation, the mother employed by a Christchurch tertiary institution. The Sunday Star-Times has decided not to name the parents to protect their privacy. They declined interviews and have told friends not to speak to the media. "The parents desperately wanted both the boys to leave Islam. They had seen their sons change dramatically in appearance - it's scary for parents when that happens," a source said. The family last heard from Daryl around May 2012, then lost all contact. The strain on his parents' marriage was immense, and they separated. After the 2011 earthquakes Mrs Jones spent time in a motor home, staying at a caravan park near Christchurch. She gave the impression of a lost soul, said those who knew her. Residents of the park remember her saying her son was "missing" in the Middle East and she had asked church groups to help find him. She seemed very depressed and had had some sort of falling out with her daughter-in-law. When news of Daryl's death finally filtered through after DNA was used to identify the remains, Mrs Jones fell apart. "No-one really has any answers, it makes the grieving process very difficult," said a friend. "As a parent, who wouldn't be devastated that someone can flick a switch and your child is gone? It's absolutely devastating. This is a completely broken woman. To lose a child this way. Who makes these decisions to murder your child, and doesn't even let you know what happened?" Born in Australia on September 14, 1983, Daryl Anthony Jones and his family moved to New Zealand, his mother's home country, when he was about six or seven. Those who knew Jones used the same words to describe him: quiet, shy, soft-spoken, gentle, polite. "Nathan seemed a good kid too," said a source. "I think the two boys would have been fairly easily led. I think they were just influenced by the wrong people." Daryl and Nathan attended Aranui High School and were involved in Christian youth groups, but became disillusioned and didn't fit in. Sensitive and deep thinkers, they believed there was hypocrisy in the church. "They felt that what was being taught about love and acceptance was not being practised," a source said. "Daryl was looking for a belief system that worked for him. Muslim friends offered brotherhood if he converted to Islam." One issue for Daryl was the Christian doctrine of the Holy Trinity. "Daryl accepted the [Islamic] view of one absolute God," the source said. Experts familiar with Islamic converts said there was usually some problem or crisis in their background. Although Daryl was from a good family, sources said the father was angry and controlling. "Daryl was a very quiet man, very serious. I would say he had an anger issue deep down," said a person who knew the family. "It was not a settled family, there was a lot of anger there, I think there were underlying insecurity issues for both boys from when they were little." Papanui man Kevin Fish met Daryl 10 years ago and they would hang out at weekends, playing video games, before Jones moved to Australia. "He was into tinkering with gadgets and stuff. He was a genuinely good guy." Jones would come back from Australia on holiday. "He'd converted to Islam," Fish said. "We didn't see much of him after that, he just disconnected from the rest of us." They argued on occasion about religion, but Fish never sensed that his friend would join a terrorist group. "He didn't seem like the kind of guy that would lay a finger on anyone." Fish said he heard Jones had moved to an Arab country where he was studying the Koran "or something like that. "I heard through an old friend that he'd been missing for a while and then we saw the thing about a New Zealander being killed in a drone strike. "It just clicked - ‘oh, it was him'." Mosque leaders confirmed Havard stayed there and studied in 2011, but denied radical teaching took place. But a man who attended a converts' weekend at the mosque 10 years ago said a visiting speaker from Indonesia talked about violent jihad and plenty shared his views. "Most of the men were angry with the moral weakness of New Zealand. I would say they were radical." Jones' radicalisation was a gradual process. It appears he listened to controversial speakers on the internet, such as Anwar al-Awlaki, a US citizen taken out by a drone in Yemen in 2011, and mixed with radicals in Sydney. An Egyptian immigrant who has seen first-hand how Muslims are recruited for jihad said Western converts were vulnerable because, besides feeling marginalised from Western society, they were curious about their new religion and wanted to dig deeper. "The [recruiters] have a brainwashing process known as CRA - conversion, radicalisation and activation," said the source. "Once the person is radicalised, they tell them, ‘here is your role, your responsibility'. Now the person feels they have something to do, to be important, to be someone." Australian media reported Jones was known to Australian Federal Police (AFP) as an "Islamic radical" and the subject of numerous border protection reports. He and Havard had their Australian passports cancelled in 2012 because it was feared they posed a threat to national security. Jones and Havard were with five others in the convoy hit by a missile fired from a US drone in Yemen's Hadramout province on November 19. While authorities believe they were "foot soldiers" of AQAP, they were not the main target of the attack. Jones' presence in the convoy remains a mystery to his heartbroken family, who have to face the fact their boy is buried in the sands of Yemen. "It's scary for them. They are normal Kiwis and the SIS [Security Intelligence Service] may have been watching them," a friend said. "We don't know why Daryl was in that car. Was he really with al-Qaeda? Or was he deceived into thinking he was helping victims of US attacks? But what on earth was he doing in that convoy? You don't just sit in a convoy of al-Qaeda militants. Maybe he met them when he was in jail." Mrs Jones remains unhappy with the lack of information from the government, while Mr Jones is angry he wasn't able to persuade his boy not to go to the Middle East, a source says. "It's devastating for the parents. They are not anti-American but it raises big issues about why they are dropping bombs. Daryl's mother wants to know what proof our Government had that her son was a terrorist. She says people don't know the real Daryl and are only speculating he was with a terrorist organisation." Prime Minister John Key, minister in charge of the SIS, has remained tight-lipped about the case, initially refusing to release his real name until it was reported in Australian media. He said the Government Communications Security Bureau (GCSB) didn't supply information that led directly to Jones' death, but had a warrant to monitor him and passed information to Five Eyes security agency partners. 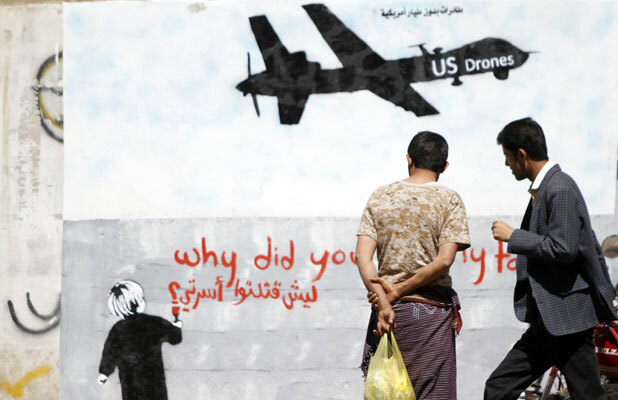 Key said drone strikes were justified, even when innocent civilians were mistakenly killed. The Star-Times sought information on Jones from the Department of Internal Affairs (DIA) and the Ministry of Foreign Affairs and Trade. DIA confirmed it held passport information on him but refused to release details on privacy and national security grounds. MFAT said: "The family has requested privacy and we won't be commenting." A senior DIA source said pressure was exerted from the Prime Minister's office not to release information. Friends of the family say they suddenly went quiet a couple of months ago, and speculated the Government had advised them not to speak. In Christchurch, the ex-judicial death of Jones elicits little sympathy from some. "If he was stupid enough to go [to Yemen]," one former neighbour spat, "then he deserves it." On Friday afternoons, Muslim converts gather at a drop-in centre in suburban Christchurch to chat and teach anyone who's interested about Islam. They have taken names like Abu Hamzah and Abdul Hakeem. One has kept his old name - Nathan Jones. He is the younger brother of Daryl Jones, also known as Muslim bin John, killed by an American drone last year. Nathan Jones and his friends set up the centre to promote Salafism, a sect which follows strict Islam as practised in Mohammed's time. Some Salafi followers in Western countries espouse jihad but Jones and his friends denounce violence. Flyers in the window proclaim that "terrorists kill Muslims and non-Muslims indiscriminately". Jones, married to an Iraqi woman, declined to comment about his brother or his religious beliefs but his friends said Daryl had followed a "deviant" ideaology. "Orthodox Islam does not teach us to kill innocent people and to blow up trains and strap bombs to ourselves," said Abu Hamzah. "[Daryl] was following . . . an extremist ideology in the ways of [Osama] bin Laden and we never agreed with that ideology. We speak against it." Hamzah said Muslims in New Zealand were peaceful. "I've been up and down this country and to every single masjid [mosque] there is, almost, and I have met how many people with this radical idea? Two [Jones and Christopher Havard]. And where are they now? Apparently dead. Nathan's brother . . . went to Yemen, he was on some deviant ideology, he thought he'd go join a group and got killed by a drone." Another convert, Abdul Hakeem Laughton, said "we were advising Saleem [Havard] a long time ago that his ideology was wrong, he didn't take the advice on board." Hamzah said Havard and Jones listened to radical preachers like Anwar al-Awlaki and were "overcome by emotions" over the killing of Muslims. "We feel pain for our Muslim brothers and we ask almighty Lord to change the situation but we do it based on morals and knowledge. If we did it based on emotions we'd probably be there [Yemen] too.